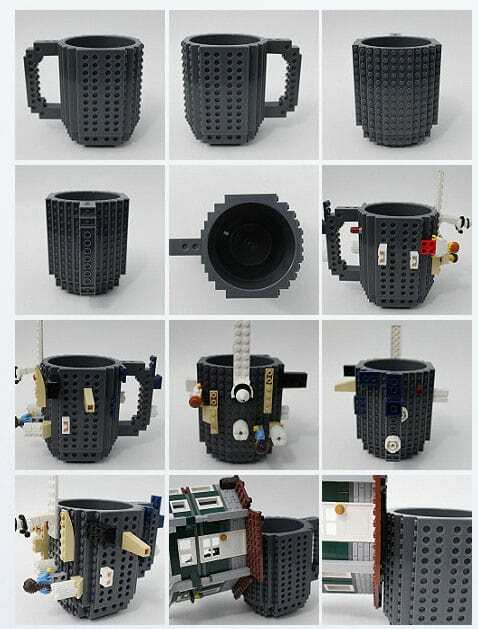 Lego mug is a coffee mug, and construction set all in one. Here you can show all your creativity while building your own personalized cup from bricks. Drink coffee or any other drink while you make something. Say goodbye to boring cups. 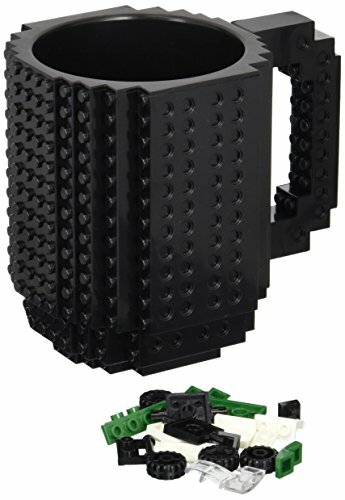 This lego brick mug is compatible with LEGO, PixelBlocks, Mega Bloks, KRE-O, or K’NEX Bricks. What will your mug become? That’s up to you! Lego mug is BPA free, needs to be hand washed only, and holds up to 12 oz of liquid. There are many holes and sockets for various building blocks. LEGO bricks fit on all four sides of the mug although some bricks are a little loose especially if you put 2×2 bricks or larger on the single row studs in front of the mug. The front is even strong enough to hold a whole building. As far as actually drinking out of it, after all it is a mug, any liquid will work. If you drink something like coffee, be sure to wash it right after or else it will stain the mug. It is also recommended that you do not microwave the mug or else you will have a gooey mess. 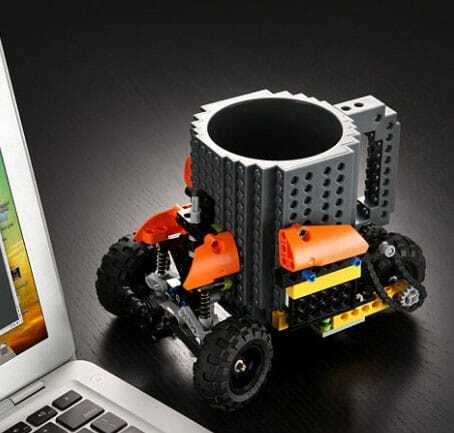 Overall, the lego mug is a pretty nice accessory to add to your home or office. 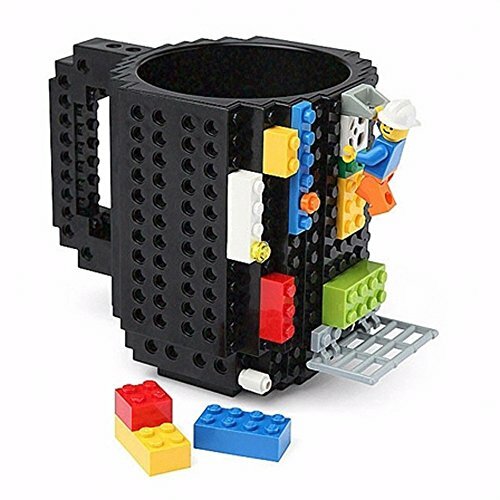 While this mug looks like it could hold Lego pieces all over its outside, it has just a few spots with studs. Bricks don't hold too well on the front, either. 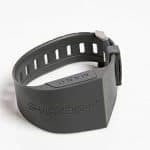 A small baseplate is better to put on the front and then build on that. Cute idea, poor execution.